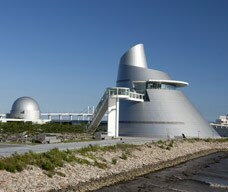 Macao Science Center was designed by world renowned architect Mr. I.M. Pei and Pei Partnership Architects. 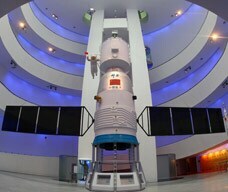 With a gross floor area of 20,000 square metres, Macao Science Center consists of the Exhibition Center, the Planetarium and the Convention Center. The permanent galleries cover topics in Science for children, Technology, Environment and Life Style. 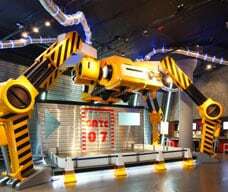 The exhibitions seek to provide knowledge-oriented, scientific and interesting interactive exhibits, and allow visitors to explore science exhibitions to provide more diversified features to the visitors. The first Planetarium in the world equipped with 3D and ultra-high definition projection system of 8,000 x 8,000 pixels, and is capable of playing interactive live shows and dome movies in 3D. Its powerful real-time astronomical database can take audiences onto a journey travelling freely in space and time. The Convention Center includes a multi-functional Convention Hall and 4 Meeting Rooms. It is equipped with professional audio-visual facilities, simultaneous interpretation systems, and video conferencing equipment. Opening hours: 10:00 a.m. to 6:00 p.m. (Tickets are only available up to 5.30 p.m., closed on Thursdays and Lunar New Year's Eve, open on public holidays.) Open daily in July and August.